(Al Hartmann | The Salt Lake Tribune) BYU opened spring football camp on Monday March 5 in the indoor playing facility. Head Coach Kalani Sitake speaks to the media after the first day's practice. Provo • Most of the heavy lifting for the 2019 recruiting class was done in December when BYU’s football program signed 14 prospects to national letters of intent a couple days before the Cougars walloped Western Michigan in the Famous Idaho Potato Bowl. But there is still some work to be done on Wednesday when the traditional signing period begins across the country, said Alema Fitisemanu, BYU’s player personnel coordinator. Head coach Kalani Sitake will introduce the class in a news conference Wednesday at the BYU Broadcasting Building. Of course, the big question is whether the Cougars will sign a running back, or several, after that position was thinned considerably by graduation (Squally Canada, Matt Hadley) and a fifth-year transfer (Riley Burt) after the 2018 season. None of the 14 players who signed in December are expected to play running back in college, although versatile athlete Eric Ellison carried the ball at times for Mt. San Jacinto College. 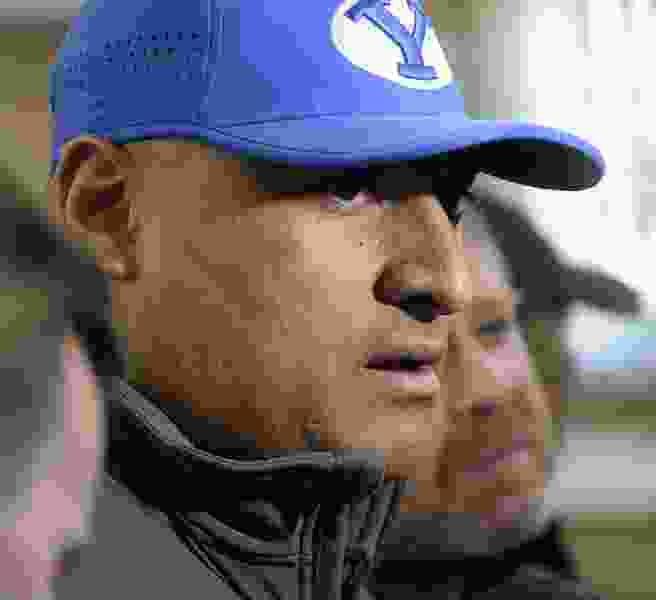 Fitisemanu said the coaching staff has targeted “multiple” running backs to sign this week “but things are fluid at the moment because we do have some options.” He stressed that the staff is “not panicking in any way” over the depth in the running back room and wants to find the right fit for BYU. Fitisemanu said coaches look at the NCAA’s transfer portal on a daily basis. “Yeah, we could very well pick up one from there, too,” he said. The Cougars will add a junior college running back — Alec Fitz Meza of Scottsdale (Ariz.) Community College — but the 5-10, 195-pound RB will join the program as a preferred walk-on, along with about 10 other PWOs. As of midday Tuesday, the Cougars had commitments from three additional prospects: San Juan Capistrano (Calif). linebacker Cade Albright, Lehi tight end Trey Andersen and Luc Andrada, a utility player from Pueblo, Colo., who played quarterback in high school but is listed at 5-foot-9, 161 pounds and will likely play slot receiver for BYU. Andersen might not sign until he returns home from a two-year church mission in a couple of years. Albright, 6-5, 210, is also expected to go on a church mission before enrolling. Fiisemanu said eight of the 14 who signed in December will go on missions first: quarterback Jacob Conover, linebacker Michael Daley, tight end Ethan Erickson, offensive linemen Elijah Unutoa, Brock Gunderson, Caleb Christensen and Bruce Mitchell and receiver Chase Roberts. The other six who signed in December are offensive lineman Blake Freeland, defensive end Brooks Maile, tight end Carter Wheat, receiver Keanu Hill, linebacker George Udo and the aforementioned Ellison.